Getting sick during cold and flu season may seem unavoidable. 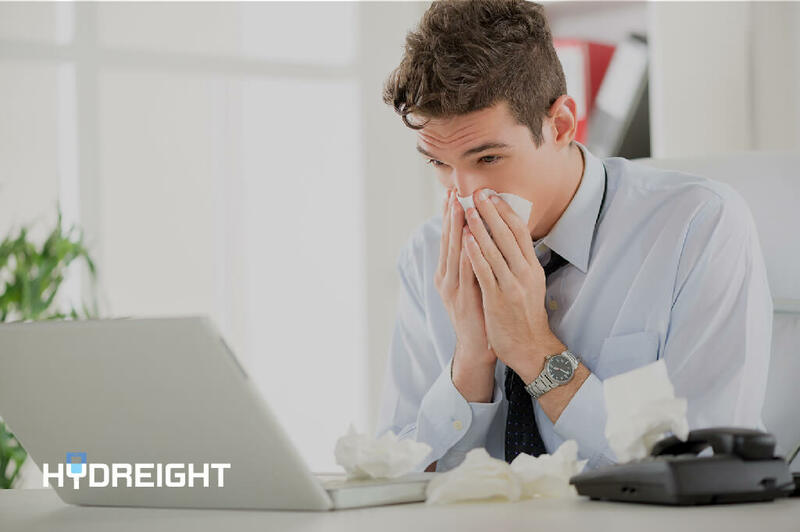 The office is full of people coughing, your barista has the sniffles and your partner is feeling under the weather too. You are surrounded by people who have already contracted the season’s bug, and it’s only a matter of time before you catch it as well. The problem is you can’t afford to be down and out. Your busy lifestyle won’t allow it. So, what can you do? There are several ways you can minimize your risk of sickness. Follow our advice and stay healthy through cold and flu season this year. Flu vaccines are released twice a year as the flu virus evolves quickly. It’s important to get vaccinated to reduce your risk of sickness. Simple but crucial. Be vigilant and make sure you wash your hands with hot water for at least 20 seconds several times throughout the day. The eyes, nose, and mouth are the most common pathways for germs to enter your system. By simply not touching your face throughout the day, you can greatly reduce your risk of getting sick. When you are tired, your immune system suffers. Make sure you are getting a solid, restful sleep every night. Otherwise, your body won’t be strong enough to fight off a cold or the flu. Dehydration leaves you tired and weak which will, in turn, weaken your immune system. Make sure you are getting plenty of fluids throughout the day, especially if you’ve been drinking the night before. A healthy diet contributes to a healthy immune system. Make sure you are getting an abundance of nutrients to bolster your immune system against sickness. Make sure you keep your workspace clean and free of germs. Wipe down your desk, mouse, keyboard, and phone. These are all objects that you touch frequently and can easily accumulate germs. IV infusion therapy can help you combat sickness this season in several key ways. As previously noted, keeping well-hydrated and ingesting plenty of nutrients will ensure your immune system stays strong. IV drips contain essential fluids, electrolytes, and vitamins that will fortify your system. If you feel sickness coming on, an IV drip can also help you recover faster by quickly replenishing your reserves. The best way to deal with cold and flu season is to take preventative action. Follow our advice and book an IV drip to boost your immune system this year.